There’s a running joke at just about any gathering at Clearleft where we measure TTPL—Time To Pace Layers—a measurement of how long we can discuss anything before making an inevitable reference to Stewart Brand’s framing. It’s one of those concepts that, once your brain has been exposed, you start seeing everywhere. Like bad kerning or sexism. I lived in Germany for the latter half of the nineties. On August 11th, 1999, parts of Germany were in the path of a total eclipse of the sun. Freiburg—the town where I was living—wasn’t in the path, so Jessica and I travelled north with some friends to Karlsruhe. The weather wasn’t great. There was quite a bit of cloud coverage, but at the moment of totality, the clouds had thinned out enough for us to experience the incredible sight of a black sun. Eighteen years and eleven days later, Jessica and I climbed up a hill to see our second total eclipse of the sun. The hill is in Sun Valley, Idaho. 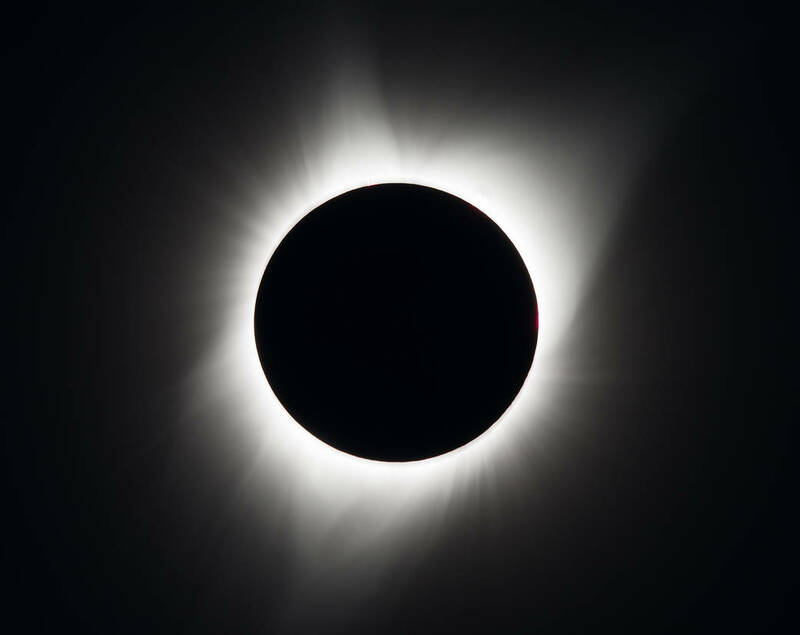 Travelling thousands of miles just to witness something that lasts for a minute might seem disproportionate, but if you’ve ever been in the path of totality, you’ll know what an awe-inspiring sight it is (if you’ve only seen a partial eclipse, trust me—there’s no comparison). There’s a primitive part of your brain screaming at you that something is horribly, horribly wrong with the world, while another part of your brain is simply stunned and amazed. Then there’s the logical part of your brain which is trying to grasp the incredible good fortune of this cosmic coincidence—that the sun is 400 times bigger than the moon and also happens to be 400 times the distance away. This time viewing conditions were ideal. Not a cloud in the sky. It was beautiful. We even got a diamond ring. Our two eclipses were separated by eighteen years, but they’re connected. The Saros 145 cycle has been repeating since 1639 and will continue until 3009, although the number of total eclipses only runs from 1927 to 2648. Eighteen years and twelve days ago, we saw the eclipse in Germany. Yesterday we saw the eclipse in Idaho. In eighteen years and ten days time, we plan to be in Japan or China. The future lives and dies by the state of the archives. To look hard at this world and honestly, diligently articulate what happened and what it was like in the present is a sort of promise to the future, a new layer to the palimpsest of history that can become someone else’s foundation.